Google has been constantly releasing new updates such as Penguin followed by Hummingbird and the latest in algorithmic change is called RankBrain. Google has maintained its dominance as the premier search engine but the SEO market is witnessing a shift as we leave 2016 behind and step into 2017. Other technology powerhouses such as Yahoo and Facebook have come up with their own algorithm modifications and begin to compete against Google. Where does this leave you? 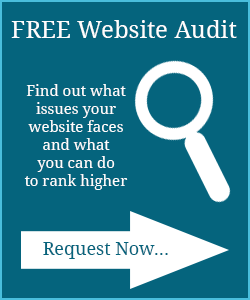 In simple terms, it means more updates and more changes for someone who is looking to rank his or her webpage in the search engines in the upcoming year. 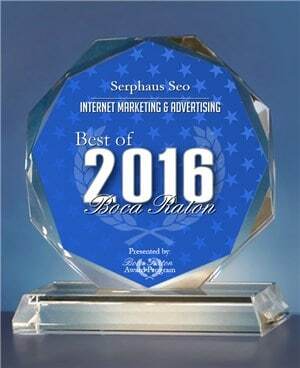 Here is a list of the SEO trends that are likely to prevail in 2017. You should take a note and start modifying your existing website to take advantage of the evolving trends in SEO. Cortana is set to be more human-like as declared by Microsoft and Siri is also making huge strides. For search engine traffic, it means that the keywords will change as people will no longer search for the â€˜best Chinese foodâ€™. Instead, they may start searching for the nearest Chinese restaurant that serves the best Kung-Pao chicken. In other words, keyword searches will turn more conversational. Most people use their mobile phones to access search engines as compared to desktop computers. Google has already taken steps to take advantage of this change and other search engines will also follow. Therefore, websites following the AMP protocol will have advantage when it comes to Googleâ€™s indexing. It also makes sense as sites taking more than 8 to 10 seconds to load have maximum bounce rate and get the least amount of traffic. On the other hand, users tend to be patient if the loading time is limited to 2 to 3 seconds. Google wants to make content the essential criterion in 2017 and AMP is a step in that direction. Information factor has been one of the most important factors when it comes to indexing websites by the search engines. However, people these days do not like lengthy content and want something that is easy to consume and bite sized. You may blame YouTube or Snapchat for it but lengthy content in 2017 may not be as attractive as it used to be. A video or dense content is likely to trend in 2017. Visuals not only help in enhancing user experience but also information gathering capacity. Google will take note of this and make necessary changes in its algorithms. Google has recently declared that people feel safer browsing a secure site and they want to respect people’s views. In other words, your site will benefit when it utilizes HTTPs as it will have greater prominence as compared to the sites without it. Even if your site has amazing content but it does not have HTTPs, it may rank behind mediocre sites with HTTPs. Therefore, you should consider moving your site to a secure domain to boost your search engine rankings. If you search for a companyâ€™s name on Google, the Twitter or Facebook page of the Company usually appears in the first two results. It shows that users are more interested in social content as compared to content posted on the company’s website. In the coming years, this trend is likely to continue and emerge as a major ranking signal. Therefore, it is important for you to focus on the social posts in addition to the other search engine optimization factors to improve your rankings. 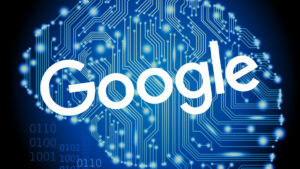 Google has combined machine learning and web page indexing with the launch of its RankBrain algorithm. This new technology or algorithm is adept at guessing the meaning of words in terms of search intent. It means that a user may land on your website even if the word he or she has searched for does not appear even once on the webpage. Google as well as other technology companies are likely to make more such updates to their machine learning algorithms which means the usual SEO factors will see a change. It is true that the above factors are still in the hypothesis stage and may not pan out exactly as mentioned but keep in mind that technology is improving and changes are likely to happen. Also, changes are likely to be rapid and therefore, you need to be a well-informed and take logical decisions. In the end, search engine optimization is all about staying a step ahead of your competition.